A variety of federal and private loan options exist to students who meet diverse qualifications including degree of study, past accomplishments, financial status, and other such criteria. The William D. Ford Federal Direct Loan (Direct Loan) Program is the largest federal student loan program. Under this program, the U.S. Department of Education is your lender. Please visit Your Federal Student Loan Guide for detailed information on Federal Student Loans. Federal Direct Subsidized Loan: 5.05% (First disbursed between July 1, 2018, and July 1, 2019). Federal Direct Unsubsidized Loan (Graduate or Professional Students) 6.6%. (First disbursed between July 1, 2018, and July 1, 2019). Federal Direct PLUS Loan for (Graduate and Professional Students): 7.6%. Graduate and Professional PLUS borrowers can apply here. (First disbursed between July 1, 2018, and July 1, 2019). Federal Parent Loan for Undergraduate Students (PLUS) 7.6%. Parent PLUS borrowers can apply here. (First disbursed between July 1, 2018, and July 1, 2019). View the interest rates on federal student loans first disbursed before July 1, 2018. If you intend to use federal student loans, you must complete the Entrance Loan Counseling and the Master Promissory Note/Federal Direct Loan Application. Federal Student Loans will not be disbursed until you accept them through your Student Services Center after reading through the Award Terms and Conditions. There is a limit on the maximum period of time (measured in academic years) that a First Time Borrower can receive Direct Subsidized Loans. In general, you may not receive Direct Subsidized Loans for more than 150% of the published length of your program of study. This is called your “maximum eligibility period.” Please review in more detail: Direct Subsidized Loan Limit. $138,500 for graduate or professional students - No more than $65,500 of this amount may be in subsidized loans. The graduate aggregate limit includes all federal loans received for undergraduate study. If the total loan amount you receive over the course of your education reaches the aggregate loan limit, you are not eligible to receive additional loans. However, if you repay some of your loans to bring your outstanding loan debt below the aggregate loan limit, you could then borrow again, up to the amount of your remaining eligibility under the aggregate loan limit. For more information please visit the federal student aid site. Loans first disbursed prior to Oct. 1, 2017, have different loan fees. Go to Federal Loan Fees for more information. As a transfer student, it is your responsibility to know your annual loan limits for Federal Direct Loans and have all pending disbursements cancelled at your previous school before transferring to ERAU. This ensures a more accurate award package. Before accepting a Federal Direct Loan(s) at ERAU, you must inform the Office of Financial Aid of any disbursements you received at another school during the academic year. Due to the timing of loans, we may not be aware of the total loan amounts you may have received at your other school. Failure to notify our office of any loans you received at another school during the year can result in your existing loans being reduced and billed in order to keep within the annual loan limits. This would result in a balance owed (by you) to ERAU. Note: Your previous school may also contact us directly by looking up our contact info on the National Student Loan Data System (NSLDS). Loan Summary Sheet from Direct Loans confirming you have consolidated all loans that were in excess To review your loan amounts and determine your loan holder (loan servicer), you must log into the National Student Loan Data System (NSLDS). Repayment of the excess loan amount by contacting the servicer of the loan indicated in NSLDS and following the servicer's instructions. Once the loan has been repaid, you must attach a copy of the repayment confirmation from the servicer to ERAU. Request a reaffirmation of loan funds with the servicer of the loan indicated in NSLDS. Please contact the servicer and ask for a reaffirmation letter in the amount of your overage. Once you receive your reaffirmation letter, please email to us at wwfinaid@erau.edu. Be sure to include your Student ID# when submitting. Federal student loans can be very useful in helping cover education and living expenses, but it is important to keep in mind that loans must be repaid. Borrowers need to understand the responsibility that comes with student loan debt because their borrowing decisions will impact their ability to meet future financial obligations. The articles below can help borrowers learn more about responsible borrowing and successful repayment. ERAU Worldwide students are provided an opportunity to express any complaints, grievances, or disputes through the ERAU Worldwide support system. See a more detailed explanation of the ERAU Worldwide Student Complaint Process in the catalog. For Washington State residents - Washington State residents seeking information and resources about student loan repayment or seeking to submit a complaint relating to your student loans or student loan servicer, please visit www.wsac.wa.gov/loan-advocacy or contact the Student Loan Advocate at loanadvocate@wsac.wa.gov. If you’re in a dispute about your federal student aid, contact the Federal Student Aid Ombudsman Group as a last resort. The Ombudsman Group is dedicated to helping resolve disputes related to the federal student aid programs, including Direct Loans, Federal Family Education Loan (FFEL) Program loans, Perkins Loans, and grant programs. Review the Exit Loan Counseling Guide. All students receiving Federal Direct Loans must attend an Exit Loan Counseling session prior to graduation, withdrawal from the university, who break continuous enrollment (do not attend all terms in assigned track) or if enrollment drops below half-time status (three (3) credit hours) for Undergraduate or full-time (three (3) credit hours) for Graduate and PhD degree students anytime during the current academic year. Private Education Loans are offered by private lending organizations. They can supplement the amount the government allows you to borrow in its programs. Eligibility requirements: Most private loans require a credit-worthy applicant and/or co-signer. Having a co-signer may reduce the cost of the loan. Interest rates: Most private loans have variable interest rates. Determine how often the interest rate is adjusted and how it's calculated. Fees: Many private loans have fees deducted from, or added to, the amount you borrow. Find out when they're charged and how much. Annual Percentage Rate (APR): The APR is the annual cost of your loan, including the effect of any fees and charges in addition to interest. Remember, a loan with fees and a lower base interest rate may be as good of a choice as a loan with no fees and a higher base interest rate. APR helps show how all charges affect the cost of the loan. 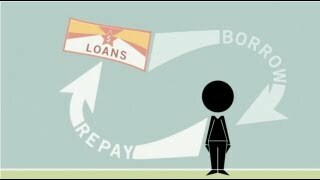 Repayment: Determine the repayment terms, including monthly payments and repayment period. Some lenders offer rewards, such as interest rate reduction, to borrowers who make payments on time or via electronic funds transfer (EFT). Loan limits: Check to see if there is an annual or aggregate limit. Try to pick a lender who has an aggregate limit that works best with your program of study. Some private loans have maximum limits, while others allow you to borrow up to your total cost of attending school. 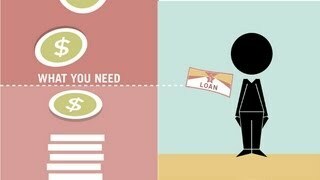 Compare lenders and apply for private loans. Credit Checks: Both the borrower and co-signer must pass a credit check. Applying with a qualified co-signer may give you the best rate. Private loan credit checks are valid for a limited time. Please check with your lender for details. Do not hesitate to contact us at 1-866-567-7202 with any questions.